Finishing 13 under par, Tiger Woods beat countrymen Dustin Johnson (-12), Xander Schauffele (-12) and Brooks Koepka (-12) to win his 15th Major tournament at the Augusta Masters. Tiger Woods celebrates with the Masters tournament trophy at the Augusta National Course in Georgia on April 14 (Pic: Masters FB page). 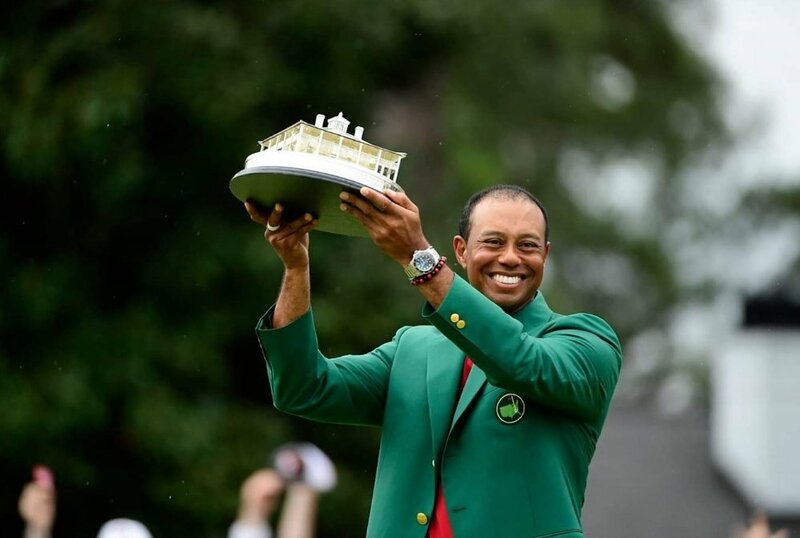 Golf legend Tiger Woods has won his fifth Masters, the first major of the season played this week at the Augusta National course, 14 years after his first victory at Augusta (Georgia) in 2005. In a historic feat on April 14, the 43-year-old golfer — who has undergone several back operations and endured a series of personal vicissitudes over the past 11 years — once again brought spectators to their feet shouting enthusiastically when he sank his last putt on the 18th green on a day marked by wind and light rain. Finishing a whopping 13 under par, Woods — wearing a red shirt, black slacks and a black cap — beat out his countrymen Dustin Johnson (-12), Xander Schauffele (-12) and Brooks Koepka (-12) to win his 15th tourney. "Instead of playing aggressively, I made my swing a little defensive because of the wind. I don't think it was my best day, although I'm very happy with my first nine holes," Molinari — the winner of the 2018 British Open where he finished 11 under par along with Finau and American Webb Simpson, as well as Australian Jason Day — said. Sunday's Masters was one of the most emotional in memory. Up until the last few holes, a dozen players — all tightly packed in the scoring — had a chance to win, including Americans Patrick Cantlay and Rickie Fowler, as well as Spain's Jon Rahm, all at -10. The other Spaniard at the Masters on the weekend, Rafa Cabrera Bello, had an disappointing outing on the past three days and finished -4. "The main difference is that I putted well. It's been a bittersweet feeling because I was listening to the shouts of support for Tiger and I would have liked to have been in that group," Cabrera Bello said.